Hey, people! Amidst all the work I’d been doing this week, I’ve had some me-time to experiment with my skin and hair. I’m feeling good that I started posting again. I hope I’ll be able to balance my work and keep concentrating on blogging. You guys can expect regular blog posts from now on. I planned to start a new series Can we just talk to discuss some skin and hair care topics. Today in the First part of this series I gonna talk about the so-called natural skin and hair care routine. The world of so-called natural beauty products is weird and complicated. One major thing: The word “natural” means literally nothing as far as the FDA is concerned. Though there has been some legislative movement toward creating more regulations regarding the ingredients cosmetic brands are using — The Personal Care Products Safety Act is probably the buzziest — there’s currently not a solid rule that can stop any brand from slapping some leafy-looking design and the word natural on their label. So it’s important to read the labels and not the claims or infographics on the label. The product just screams that it is 100% natural, organic, chemical free and so on. But When I read its ingredient list, only partial ingredient list will be mentioned. Like Aloe vera 2%, base Q.S. I don’t understand if a product is 100% natural as claimed by the brand then why can’t they disclose their complete natural ingredient list. So if you wanna follow a natural skin and hair care routine read the ingredient list. Just skip the products that have an incomplete ingredient list. Using organic skin & hair care products and they spend fortune. I highly recommend eating Organic foods to keep themselves healthy. This reflects on their skin and hair. Organic beauty products are not a necessity while eating organic foods is necessary to keep oneself healthy from inside. Organic skin and hair products are secondary. This is one of those stupid myths that still some people believe. Safety of an ingredient is not related to how hard it is to pronounce its name. We have to research the ingredients in order to come to a conclusion. “Chemical free skin care is always better” You can hear people saying this. While it is true to some extent. It’s always good to avoid harsh chemicals like SLS, SLES, parabens, and artificial fragrances. We are made up of a number of chemicals like calcium, iron, zinc. We need these chemicals(minerals) for the proper functioning of a body. Everything is processed guys, Coconut is the raw form whereas coconut oil is obtained only by processing the coconut. Don’t fall for the marketing gimmick. This is another stupid myth. I can put chilli powder into my food and I can eat. Can I put chilli powder in my face mask? I can’t eat Shikakai but I can use it for my hair. So just ignore these types of myths, look into ingredients that work for your skin and hair type guys. Most of the natural skincare brands say that things you apply onto your skin get absorbed easily into the body. Seriously? I bathe for more than 15 minutes and I don’t end up being a water balloon. If the skincare products get absorbed as stated by the brands, obviously the water must be absorbed. Our skin has enough mechanism to repel foreign matters that enter into our skin. Only partial skin care products get absorbed that to not into our bloodstream guys. So read about ingredients, there is a lot of research papers that give reliable information. The thing is you have to spend time. We can see people using baking soda for washing their hair and face. Some use this as a treatment for acne. Baking soda sounds natural but the thing is it is extremely alkaline and our skin is acidic. Though our skin comes back to its original ph after using an extremely alkaline product on our face, it’s wise to avoid such habits since you are compromising your skin’s acid mantle. The same goes for extremely acidic things like ACV, lemon juice. Always dilute them before using. Liquid soap as Shampoo, I just don’t like the concept of using liquid soaps to wash your scalp and hair. Liquid soap is nothing but saponified oils. Once the oils are saponified it will be having a PH around 7 to 9. Our hair is also acidic. If we use shampoos with high PH then our hair will be dry and brittle (source). Following with ACV rinse is a popular natural hair care routine but it will give a shock to our hair right after cleansing our hair with liquid soap. You can use liquid soaps on your body and not on your face and hair. So always look for products that are ph balanced. Ultimately, it’s all about experimentation. So research about the ingredients and look for safer ingredients. 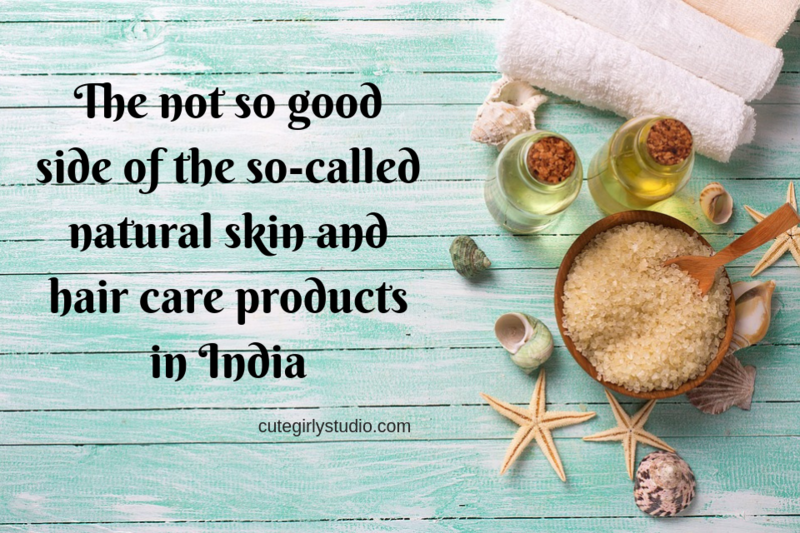 Whether it be DIY or store bought one make sure that the ingredients suit you With an increase in interest towards natural skin and hair care there is N number of brands that try to sell their conventional harsh products with a label that screams natural. Try to avoid products that don’t disclose complete ingredient list. Do let me your thoughts in the comment section guys.